BRM4 by Daiwa Health Development was shipped promptly, and arrived just as promptly...quite satisfied at this time. 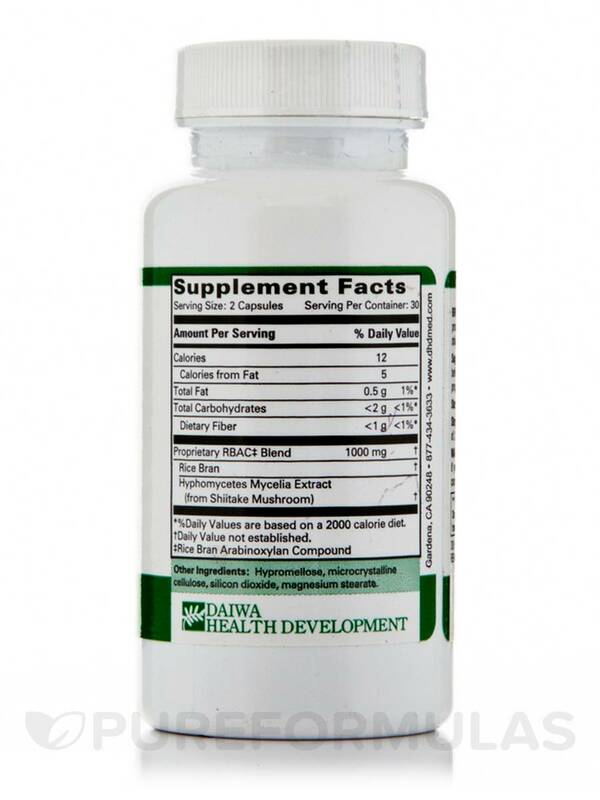 BRM4 has been clinically shown to support natural killer (NK) cell activity. Research indicates that BRM4 supports the body's natural production of cytokynes (interferon and interleukins). 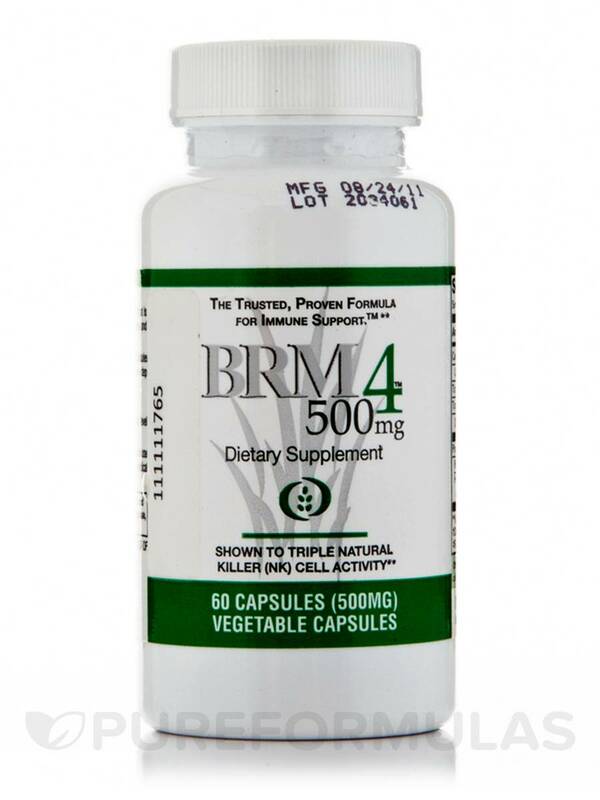 BRM4 also supports the activity of lymphocytes (B cells and T cells as well as NK cells). 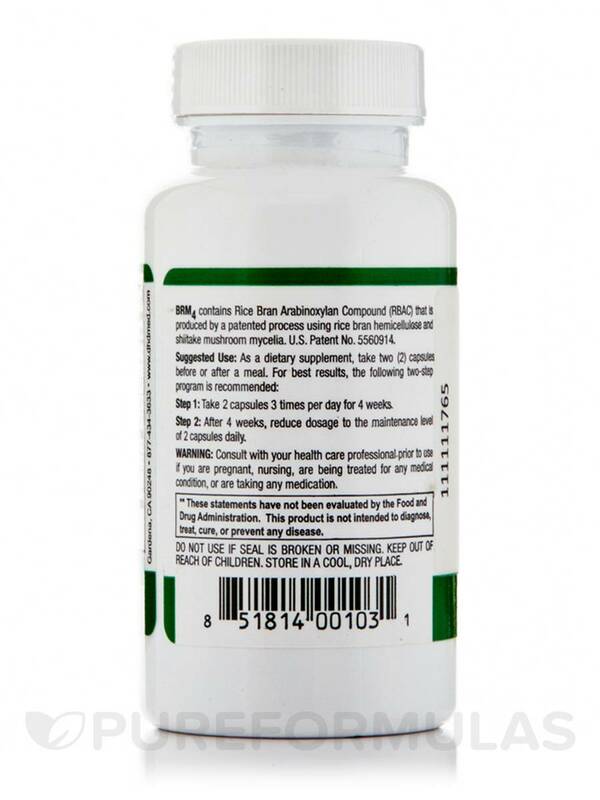 In both laboratories tests and clinical trials BRM4 was shown to be safe with no harmful side effects. Other Ingredients: Hypromellose‚ microcrystalline cellulose‚ silicon dioxide‚ magnesium stearate. Step 1: Take 2 capsules 3 times per day for 4 weeks. Step 2: After 4 weeks‚ reduce dosage to the maintenance level of 2 capsules daily. Consult with your healthcare professional prior to use if you are pregnant‚ nursing‚ are being treated for any medical condition‚ or are taking any medication.